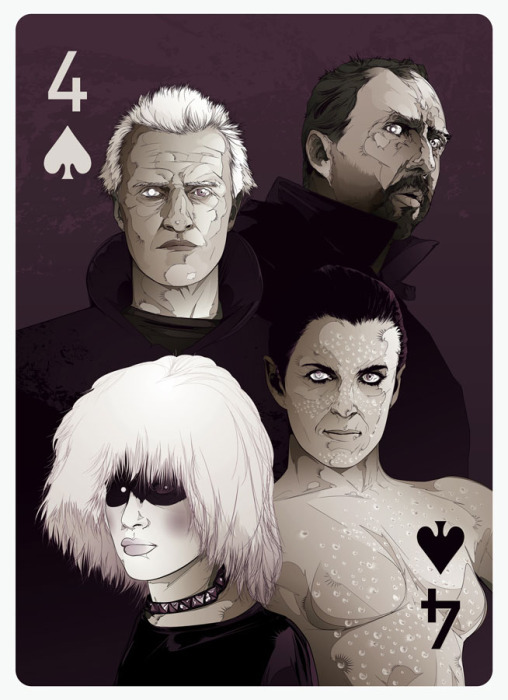 Rory Kurtz | Kako | Featured In Cardistry: 55 Artistic Interpretations Of Playing Cards Opening May 6th In La! For all those who live in Los Angeles, here’s an exciting new show you shouldn’t miss! Hero Complex Gallery is featuring two of Levy Creative’s artists, RORY KURTZ & KAKO in their next show CARDISTRY: 55 ARTISTIC INTERPRETATIONS OF PLAYING CARDS, opening Friday, May 6th, from 7-10pm. Kako as seen below was influenced by the great science fiction film Blade Runner, Rory with Wolverine! FAQ: WHAT’S THIS SHOW ABOUT? We created a Custom Premium Art Card Deck of 52 full-color original artwork cards, plus 2 jokers and card back by today’s top artists! A wonderful mix of pop and non-pop artwork…we asked the artist to run wild with their inspirations!
. Original full-size artwork, both prints and original artwork, most with AND without card numbers and indices, so you can enjoy them whichever way you prefer.
. One Full Custom Premium ‘Cardistry’ Deck of 52 full-color cards, plus 2 jokers, and face card designed by Tyler Hays. 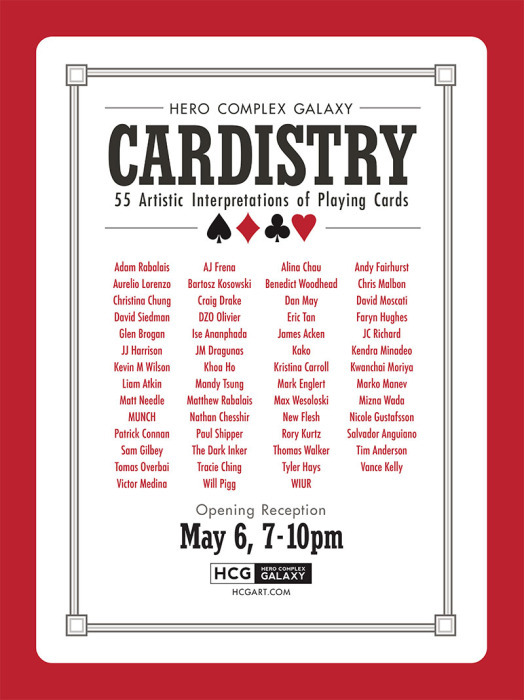 YES…we will also be holding our first annual TEXAS HOLD’EM CHARITY TOURNAMENT on SATURDAY, May 7th…please email us at info@hcgart.com for additional details or to join the tournament! Huge thanks to the talented artists for their participation, their unique and creative takes on this theme, and for their immense patience and awesomeness as we put this one-of-a-kind show together!